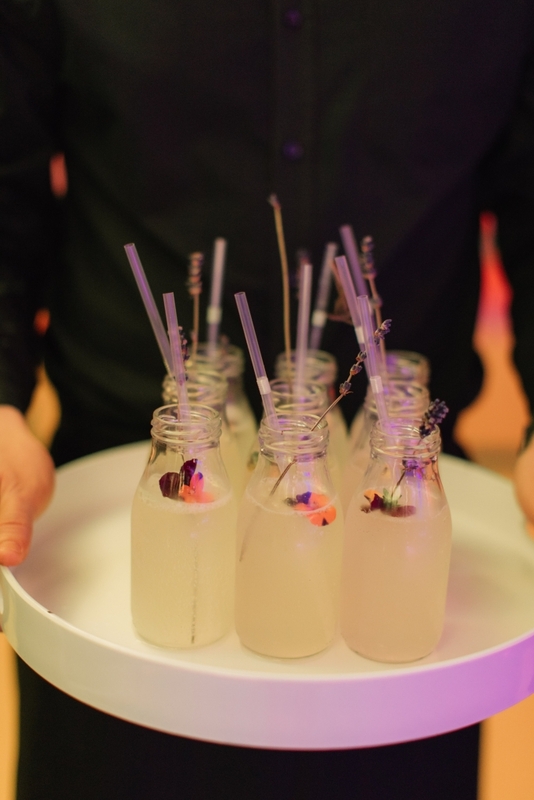 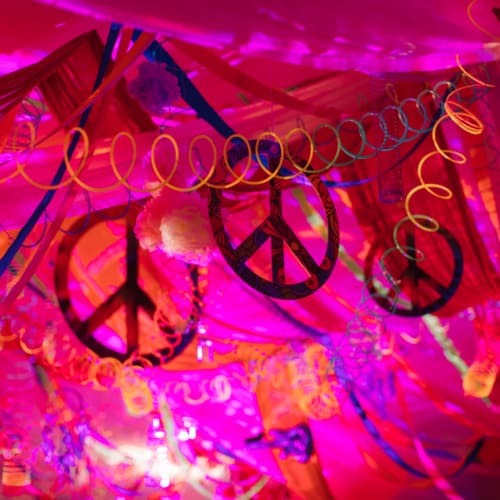 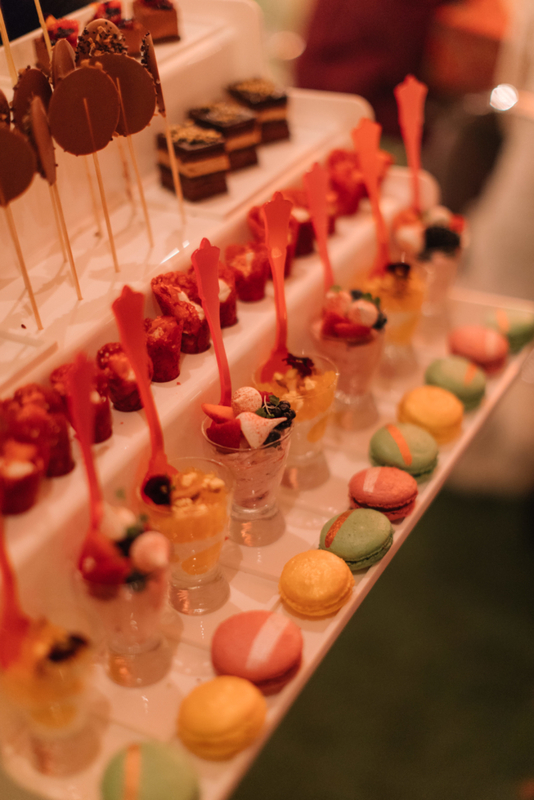 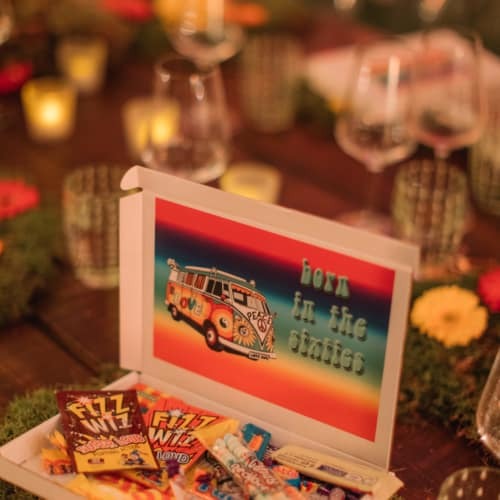 Table Talk asked us to collaborate with them for a 60’s themed party based around their food. 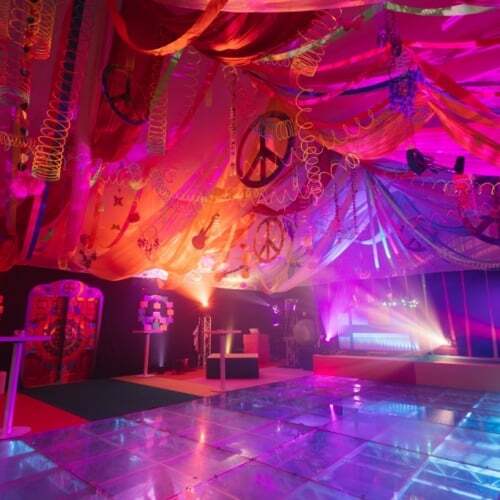 We created a hyper version of the 60’s with two separate worlds representing the ‘Swinging Sixties’ and ‘Flower Child’ ideals. 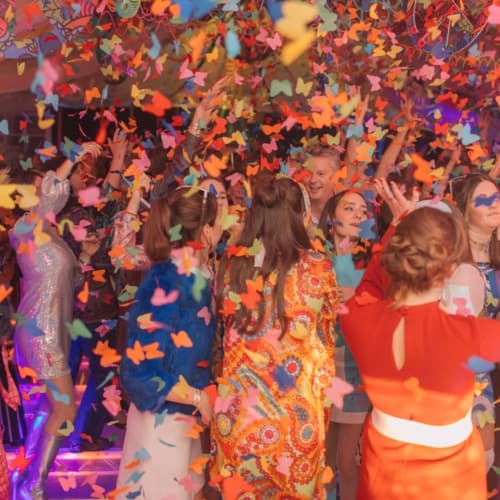 We tapped into Elrow parties from Madrid as inspiration for the dance floor. 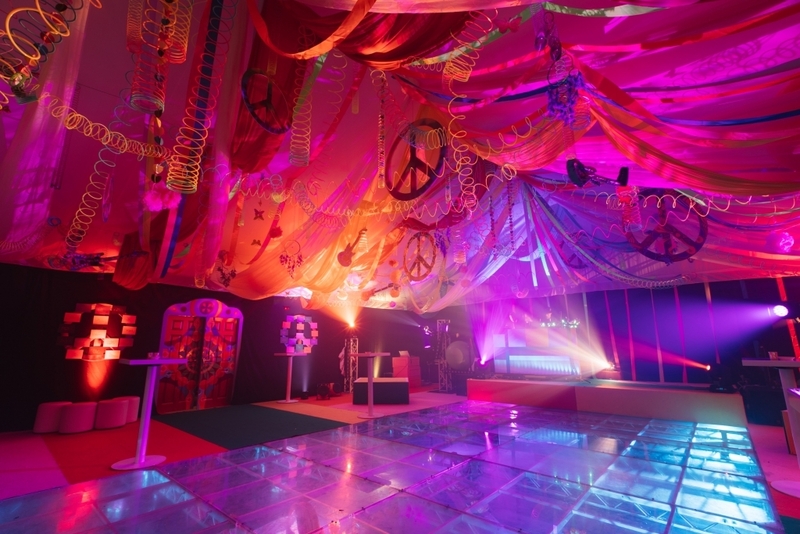 Guests danced over the pool, which we covered with a perspex floor. 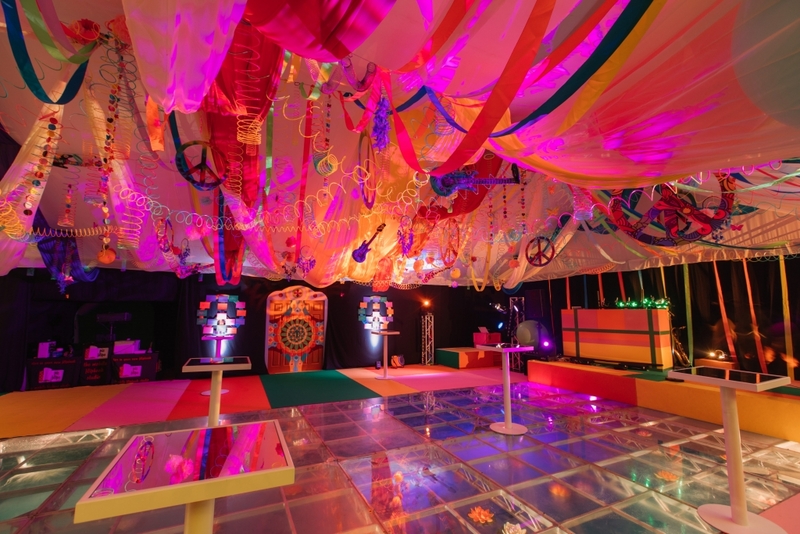 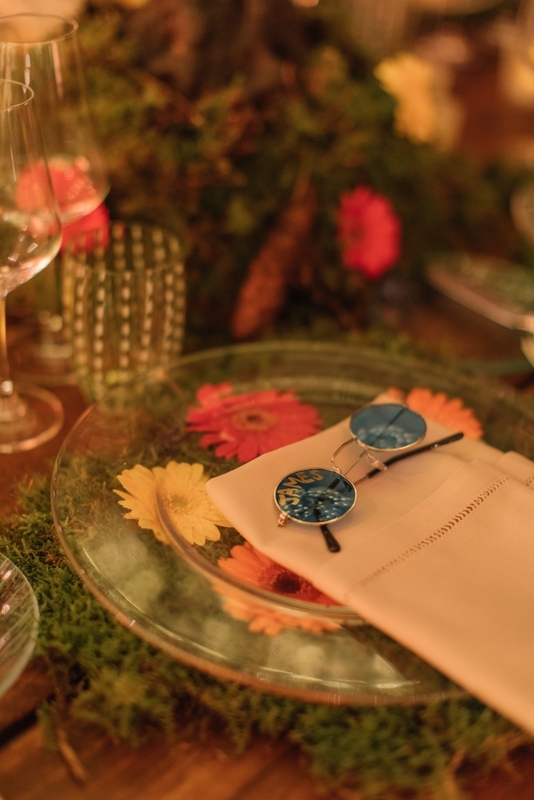 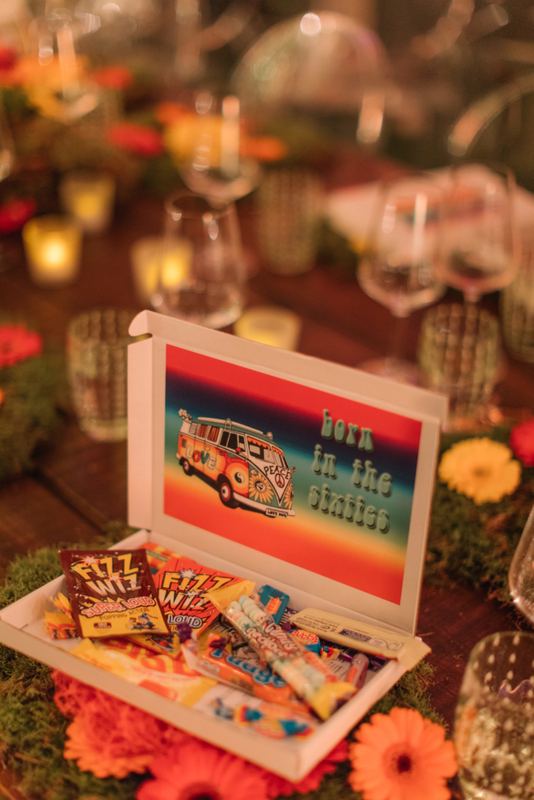 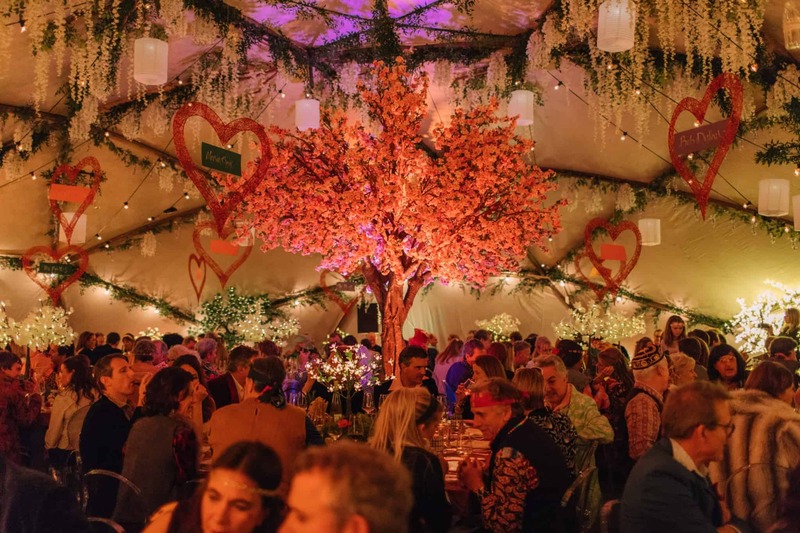 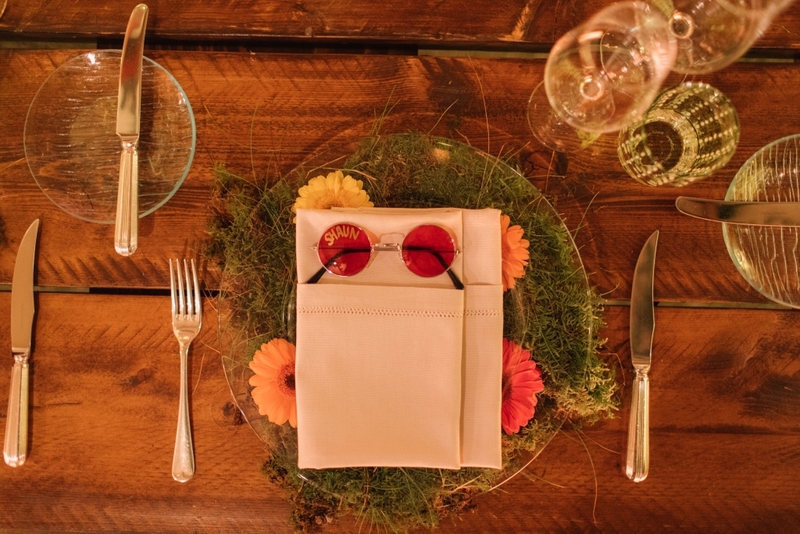 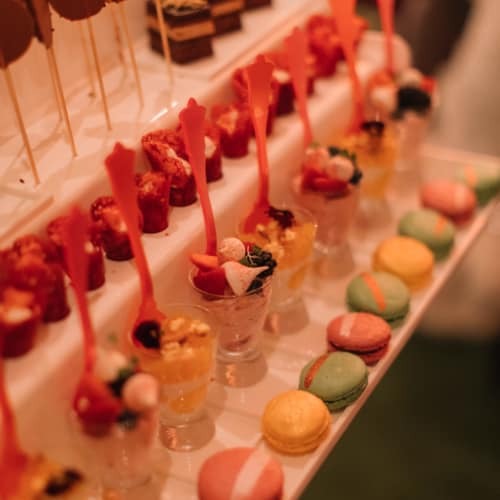 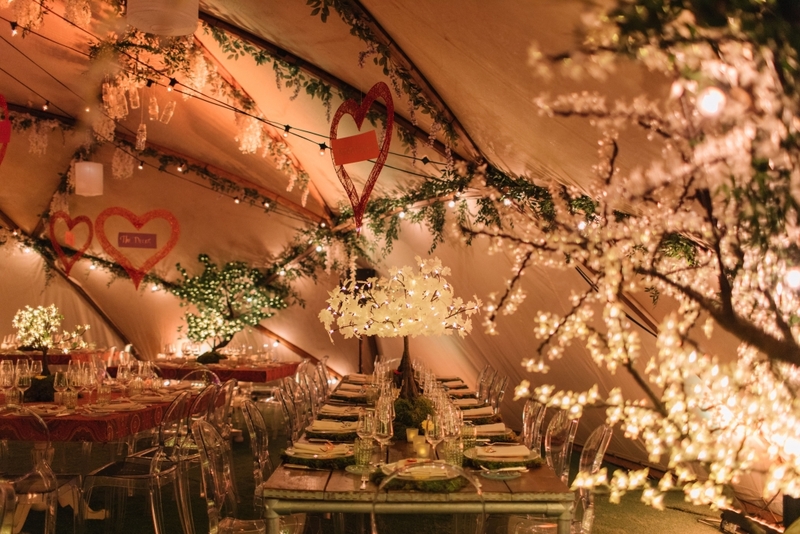 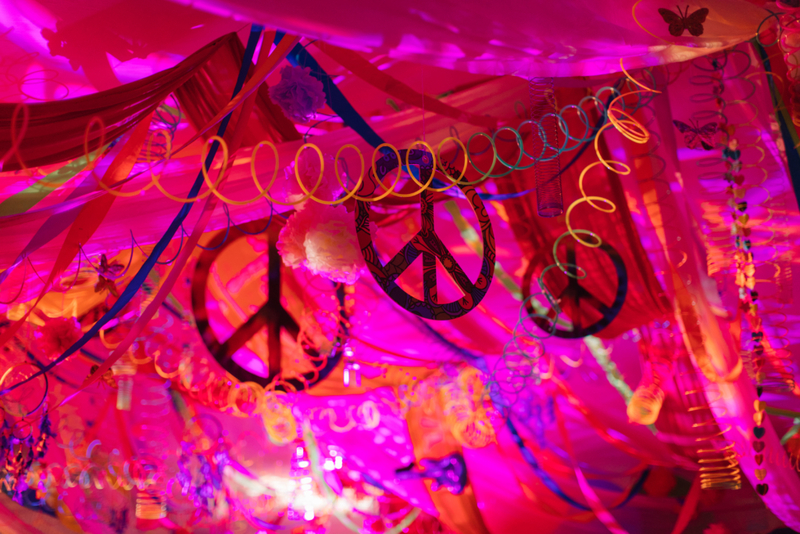 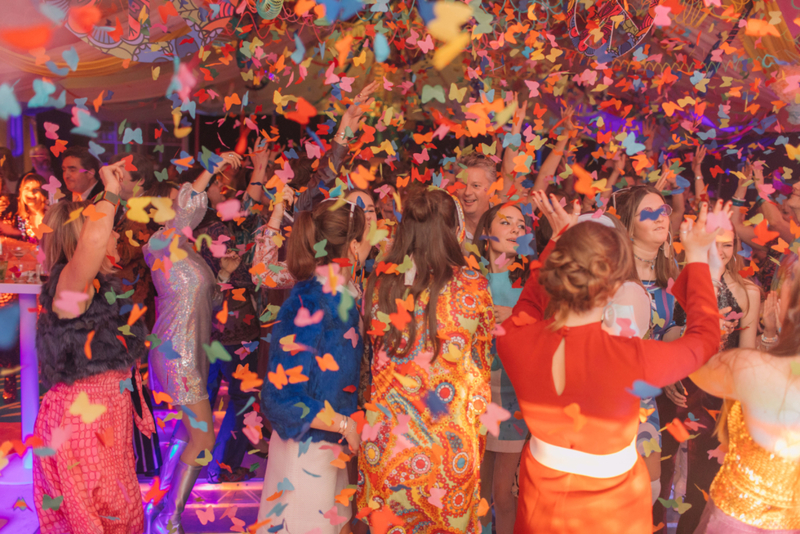 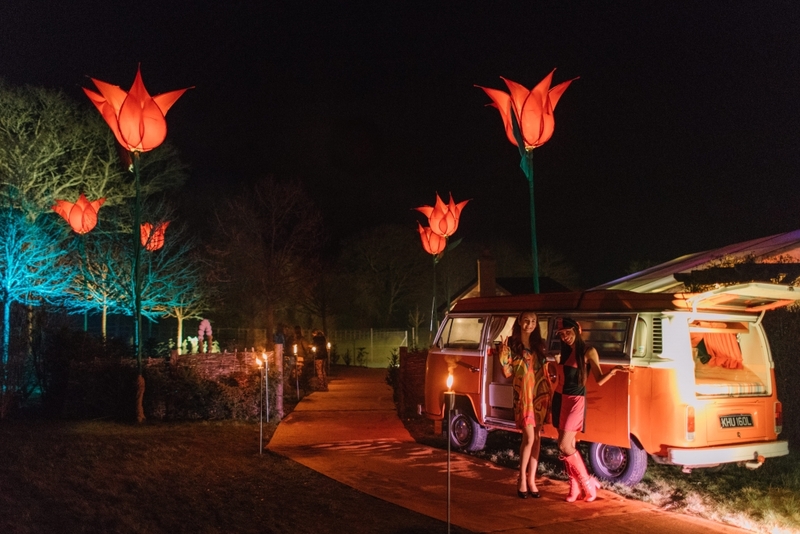 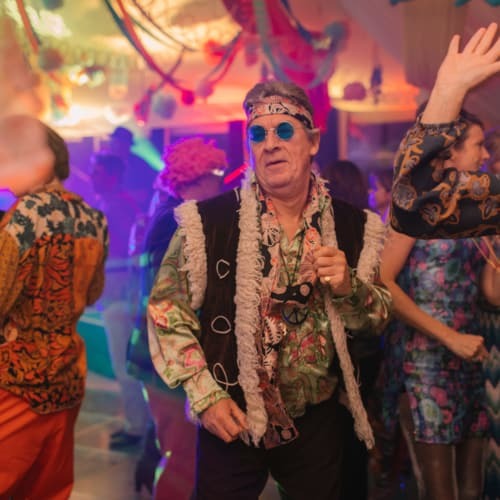 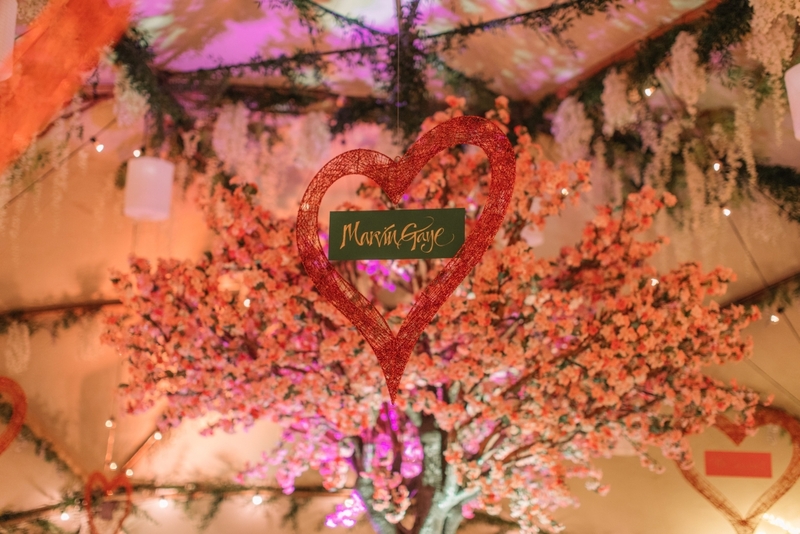 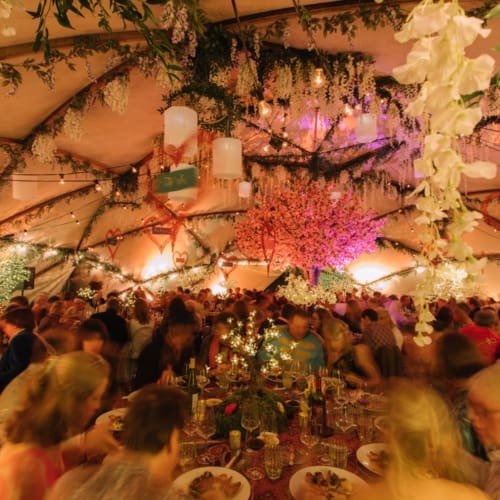 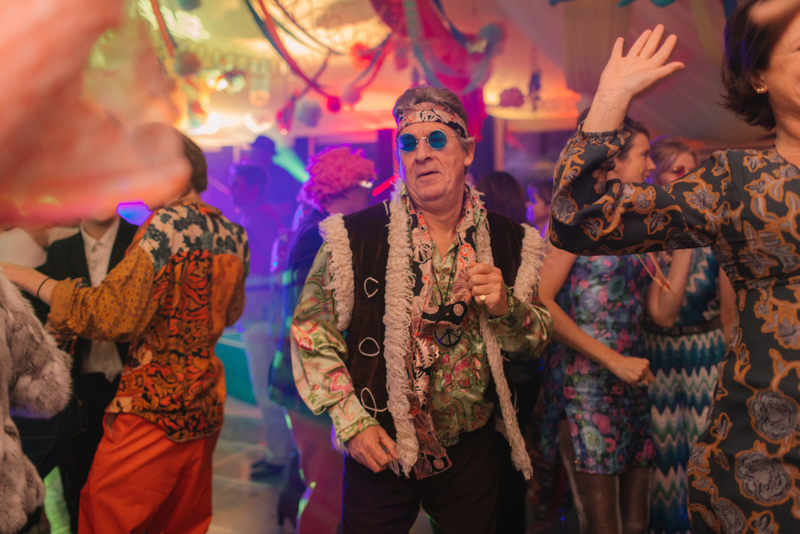 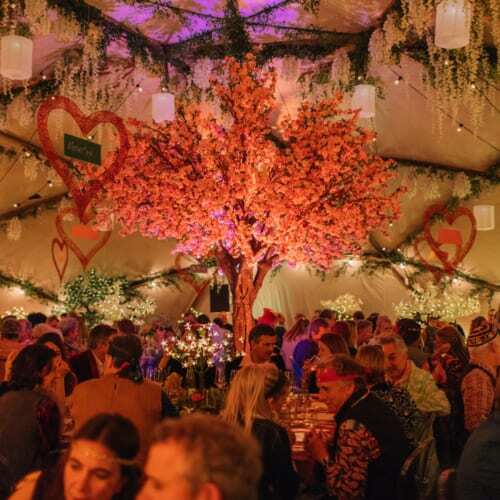 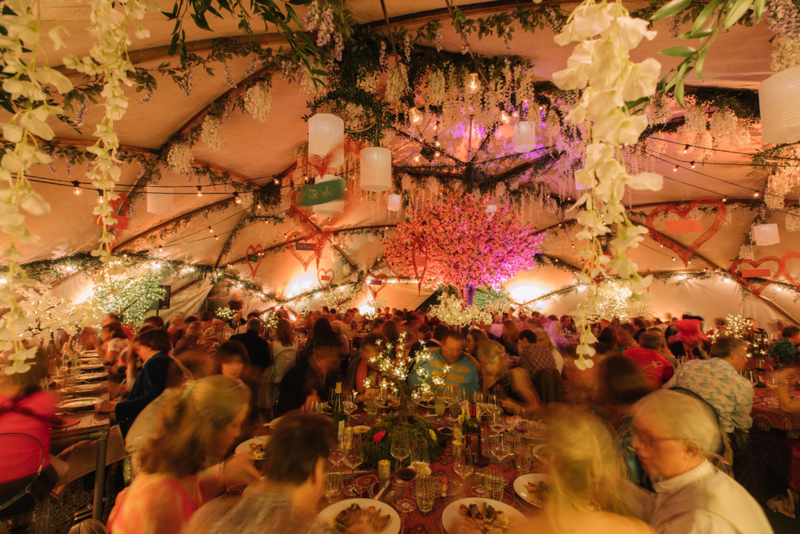 We customised a ‘Swinging 60’s’ wardrobe to walk through into dinner and on the other side guests found themselves in ‘Flower Child’ heaven in a handmade wooden dome, surrounded by cherry blossoms, wisteria and grass.